Earlier today we shared a story of Robert Alai's brother Tom Alai who was reported missing some 5 days ago around Kinoo area in Kikuyu. It has now been confirmed that Tom is dead. Tom's body was found lying in one of the city mortuary, having been taken there by police from the Kikuyu police station. The circumstances surrounding the disappearance and death of Tom are still not clear, Robert Alai did confirm that his brother was knocked by a speeding motorist as he crossed Waiyaki Way. The driver of the car that hit him told the area residents who had gathered to witness that he was taking him to hospital but never did. 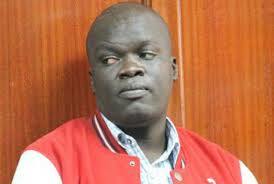 Robert Alai just made the announcement via his twitter and Facebook page a few hours ago. Our condolences to Robert Alai's family.